Xscape in Milton Keynes is a whole day (or more) of fun for the entire family, all under one roof. Have you ever wished you could fly? (And let’s face it who hasn’t?) Now you can, with iFly Indoor Skydiving. Super safe and super exciting, big grins guaranteed for anyone between the ages of 4 and 104! It’s a memory banker and one you’ll want to repeat again and again. As well as 18 high-quality bowling lanes, Hollywood Bowl also features two exclusive VIP areas, a bar, and a modern, fun-packed amusements area. It even has its very own family-friendly restaurant, Harry’s Kitchen, serving a range of delicious dishes. As well as an exciting monthly programme of films for every age, at Cineworld Milton Keynes we’ve got the UK’s first and only Superscreen and 4DX cinema. There’s also a Starbucks Café for all your favourite refreshments, plus special facilities like cinebabies and autism-friendly screenings, school packages, a conference room and even screen hire for private events and parties. 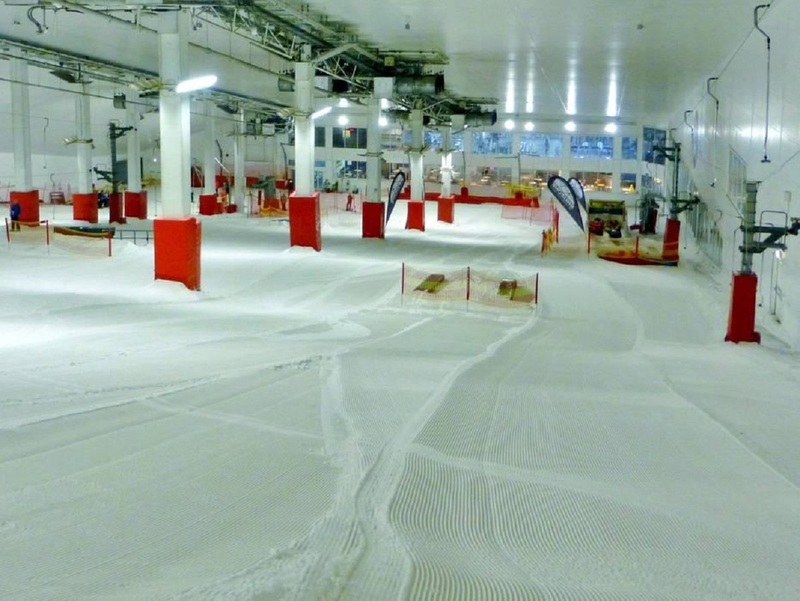 If, like me, you’re getting seriously disillusioned over the lack of snow in the Home Counties in the last few years then a trip to Snozone in Milton Keynes is on the cards. And you’ll be officially the best parent in the world. Ever. Snozone has real snow slopes for skiing and snowboarding, and they do family and individual lessons for whatever your level of experience from novice to master of the slopes. Their children’s ski and snowboarding lessons are industry leading so perfect for a refresher or before you head away on a snow holiday. If you’re looking for something a little less structured and with maximum levels of fun you can book on to their sledging or tubing sessions which all the family will love. You can also book on to 30 minute Sno-Play sessions on Wednesday and Friday mornings at Milton Keynes. These are perfect for little ones aged 2 years and above to have fun in the snow, making snow angels and throwing snow around! They’ll get a free child’s drink afterwards too. And afterwards you can relax with a coffee whilst the children play in the free soft play area. For more information see www.snozoneuk.com. You’ll be spoilt for choice eating at Xscape in Milton Keynes. Restaurants include; ASK Italian, Chimichanga Tex Mex, Clary’s Bar & Grill, Coal Grill & Bar, Five Guys, Frankie & Benny’s, Harry’s Kitchen, Harvester, KFC, McDonalds, Nando’s, Pizza Express, Subway and Wagamama. Phew. We hope you found this post useful. For more information on days out with the kids, click here.